Birmingham in the late nineteenth century was a hive of criminal activity centred around its industrial heart. Tensions between the young Irish migrants of Digbeth and the notorious English sloggers of Cheapside saw the emergence of notorious street gangs, the most well-known of which were the peaky blinders. Now, more than a century later, it is time to talk about the peakies. 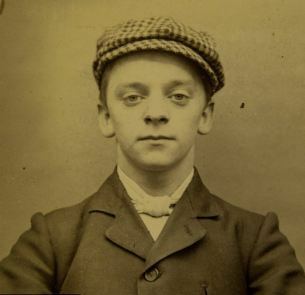 With the airing of the popular 2013 BBC TV series, Peaky Blinders, the legend of Birmingham’s gangs has aroused new interest, and Fringeworks is proud to announce that it is working with local historian and Digbethophile, Rosie Pocklington, to research and publish tales of the original peakies. To be edited by Rosie and Adrian Middleton, TALES OF THE PEAKY BLINDERS will be a volume of factual anecdotes and adapted fiction based upon the true events surrounding the rise of Birmingham’s gangs during the nineteenth century..
We are seeking two things: anecdotes and expressions of interest, with a view to commissioning stories later in the year. Anecdotes should provide sources and enough information for further research to be carried out. Everyone providing information will be credited in the book. Expressions of interest should include a brief summary of your writing experience, any connection you may have to Birmingham (not essential, but we’d like to know), and the sort of story you would be interested in writing, plus a writing sample of no more than 1000 words. Anecdotes and expressions should be sent to submissions@fringeworks.co.uk as .doc or .rtf documents with the email subject header “SURNAME/PEAKY/ANECDOTE” or “SURNAME/PEAKY/EXPRESSION”. We will reply to all contact within four weeks of receipt.